…because we all need a helping hand sometimes. Feel free to contact us and we’ll do all we can to help. Please contact us and let us know if you have a support group that we can include on our website. BRCA Kent is a local, voluntary-led group to support women in Kent with the BRCA1/2 gene mutation. The group offers experience, support and friendship in a safe and caring environment. Please email info@brcakent.org.uk before attending. 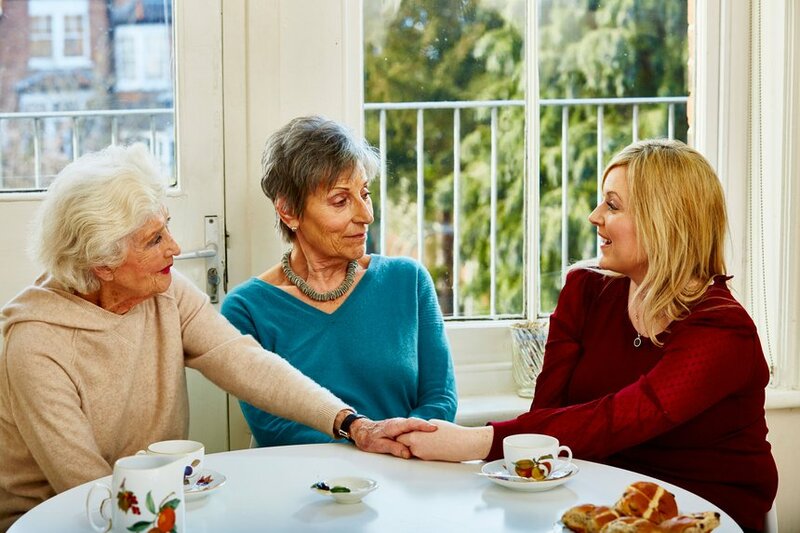 This group meets once a month at the Macmillan Horizon Centre in Brighton and is a self-support group for women of all ages in Sussex who have tested positive for the faulty BRCA1/2 gene. The group shares knowledge and experience and offers support in a confidential and friendly environment. It also has visiting speakers. Some group members have had, or are considering, risk reducing surgery whilst others have decided to choose regular surveillance as a way forward. There is a Facebook page you can join – BRCA Brighton (members have to send in a request to be approved). For further details please contact BRCAbrighton@gmail.com. FORCE is a US-based group with a branch in Essex who have group meetings for members. See more here. An online support forum for men and women with a hereditary risk of cancer. There are local branches that hold support groups in the following areas. A voluntary organisation in Northern Ireland that helps people access information and support about BRCA genetic mutations. Both formal and informal group meetings are held throughout the year. An online support forum for men and women with a hereditary risk of cancer. A charity working to improve the lives of patients and families affected by all types of genetic conditions. A US-based group with a branch in Essex, UK, providing information and support for those affected by hereditary breast, ovarian and related cancers. Click here to find out more. The ‘Someone Like Me’ Service matches people to others in a similar situation to theirs. Click here to find out more. Provides support to women, along with their families and partners, who have been through a premature menopause. Provides a support network of people to talk to as well as information on HRT and assisted conception.